Olive Patricia Howard obituary. Carnes Funeral Home. Olive Patricia (Pat) Howard passed away on April 28th, 2015. She had been a resident of LaMarque since 1968 and a member of Highlands Baptist Church. Pat was born in Greenwood, Mississippi on September 13, 1939 to L.E. McCorkle and wife, Olive. 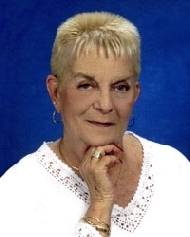 Pat was a LVN and worked in the Nursing homes and Hospitals in the Galveston and Dallas areas. She is preceded in death by her parents and one brother, Erwin. Pat leaves behind husband, James Howard, daughters Gina Oliphant (Johnny), Jennifer and Deborah Riccio and son James Riccio (Nereida). Her step children, Jamie (Rush), Randy (Renee), Robin (Leon) and Tim (Barbara). Grand Children, Dustin Oliphant, Dylan Oliphant, Christopher Riccio, Drew Riccio, Cassidy Riccio, Dante Outcalt, Destiny and Justus McClellan. Pat’s wishes were that there be no funeral services, however; a Celebration of Life will be held for family and close friends. Any donations in Pat’s honor can be made to St. Jude’s Hospital.